With our range of flat electrodes, you’ll be able to speed up plating of big objects by up to two to three times. They make light work of plating larger items such as pieces of sculpture or furniture. This not only saves you effort, but of course leads to higher turnover and increased profit margins! Like our standard electrodes, these flat electrodes come in a range of different metals and sizes to suit different plating jobs. 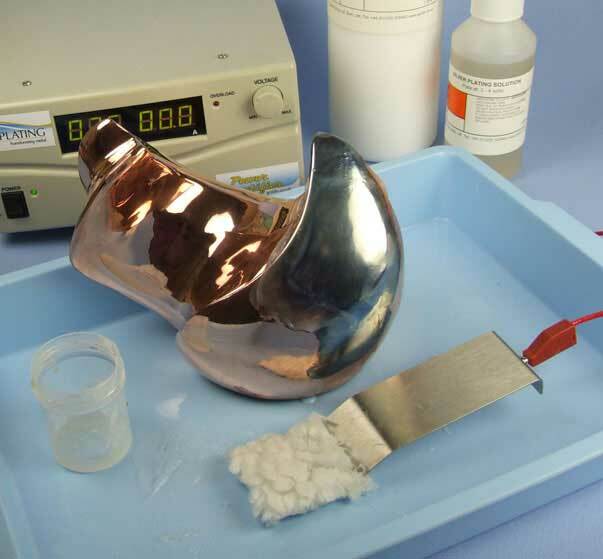 Below is a step-by-step guide to using the Flat Electrodes to silver plate a copper sculpture. Plating solutions; Silver. 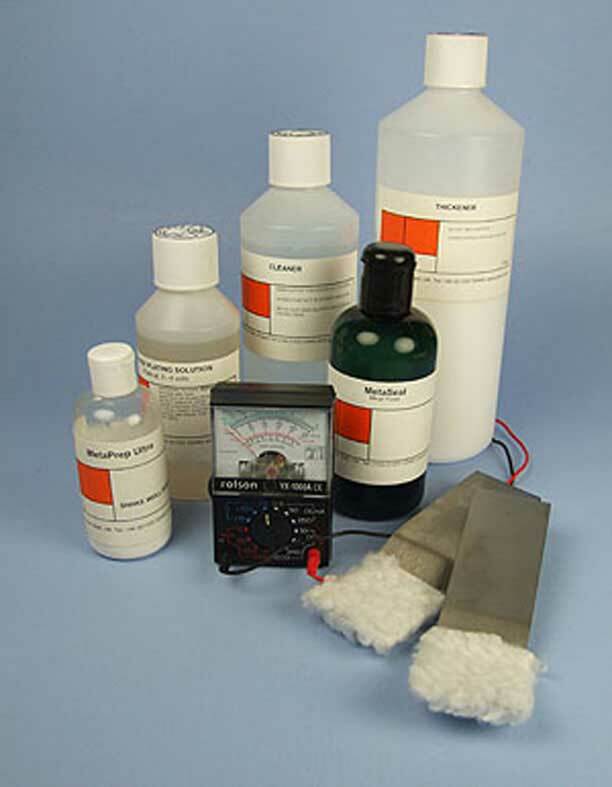 Equipment; Stainless steel and platinum Flat Electrodes, 2 Flat Swabs, Conductivity Tester. Cleaning/preparation solutions; ActiClean, Thickener, MetaSeal, MPU. With art objects such as sculpture, you may find that you have to remove a layer of lacquer first. To establish if this is the case, test the surface with the conductivity tester. If it is so, there are a variety of different removers you can use, according to the kind of varnish you’re dealing with, all of which are easily obtainable in your local hardware shop. Once all traces of the varnish are removed, clean and activate the surface thoroughly with MPU. To complete the job of activating the surface, fit the Flat Stainless Steel Electrode to the red lead and soak the swab as usual with ActiClean. Set the rectifier to 8v and ActiClean the piece thoroughly. 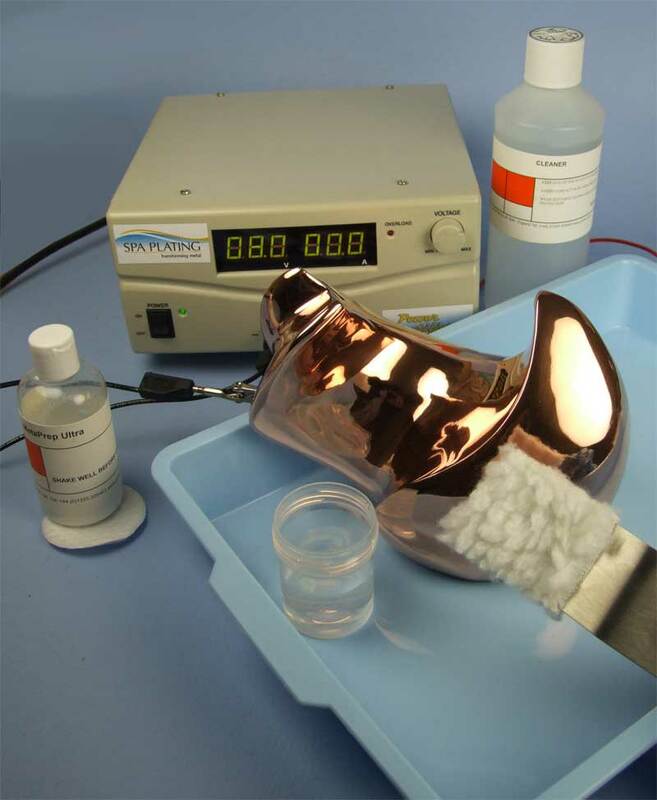 Prepare your Silver Brush Plating Solution by mixing it with our Thickener. Now fit the Flat Platinum Electrode and start plating with the thickened silver solution. 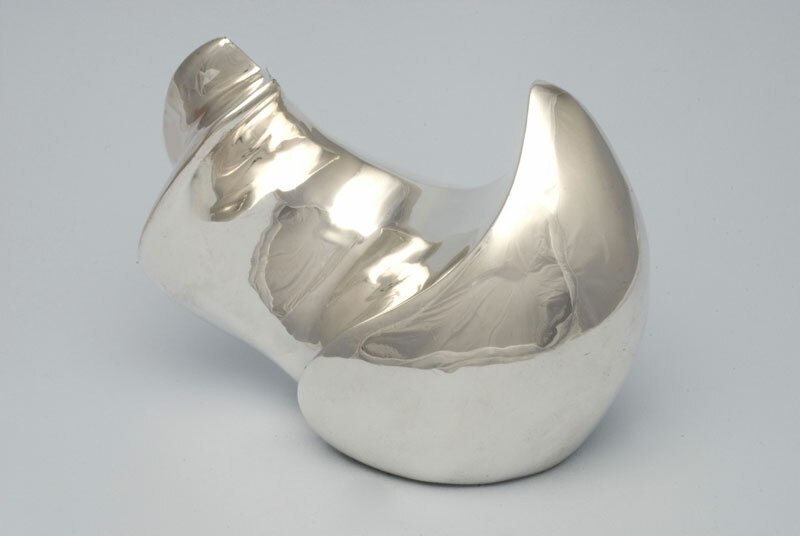 You’ll immediately notice how quickly and efficiently the silver goes on to the surface of your piece. To further increase the speed of plating, increase the cushioning effect of the swab by putting on an Extra Large Flat Swab. This will help you get into any deep recesses. There a a number of ways of finishing the surface of the piece, depending on the final efect you’re after. 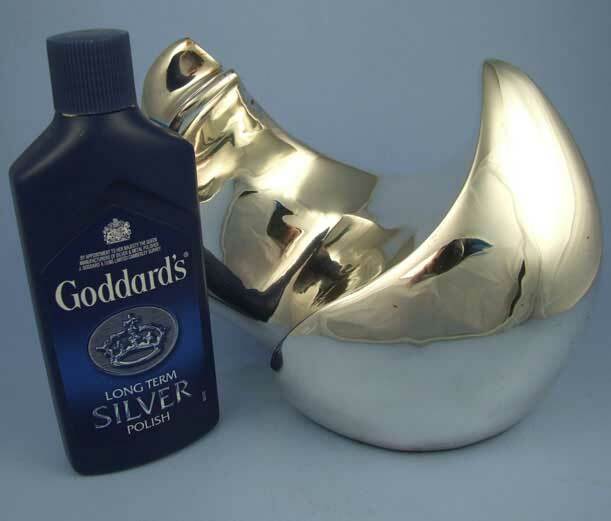 If you want a high, brilliant shine, Goddards Silver Polish is a good choice. It will bring out the reflectivity of the silver and help to protect the surface from oxidisation. However, if you’d like a softer, more subtle effect, you could try running the object under the tap and drying it with a paper towel.